Braddock Borough Council President Tina Doose was one of a number of speakers who spoke in support of a rider-driven vision for public transit, released this week. Transit in Allegheny County should be equitable, connected to affordable housing, a conduit for economic opportunity and a means to improve regional air quality, said riders and a coalition of organizations who presented a new mission for transit this week. The Riders’ Vision for Public Transit calls for an extension of the Martin Luther King Jr. East Busway, free transfers, free fare days to encourage more people to ride the bus, ubiquitous access to Connect Cards and policies that require affordable housing to be built near transit lines. 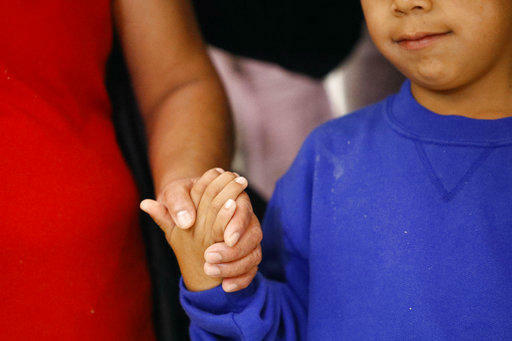 The future of the region depends on building the public transit system, said Braddock Borough Council President Tina Doose. 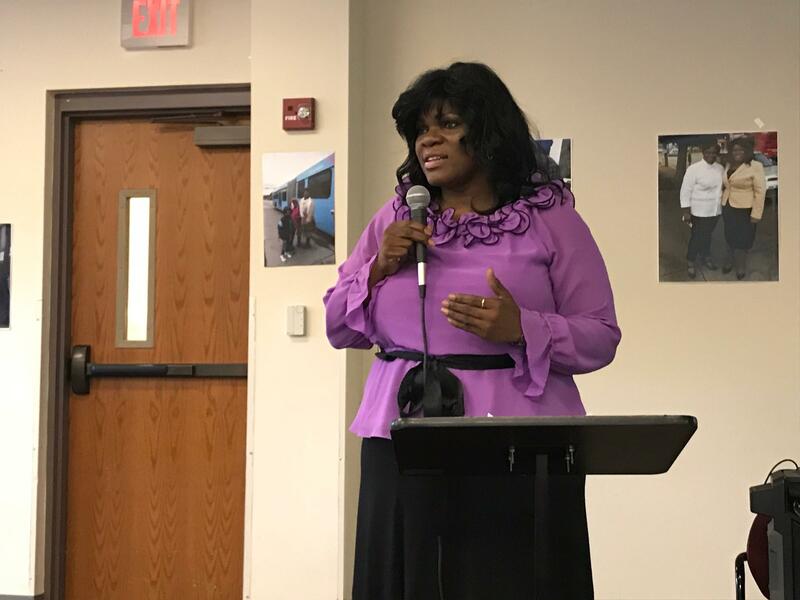 “If we’re going to revitalize the Mon Valley, we have to have transportation at the core,” she said, emphasizing the need to extend the busway to McKeesport and Monroeville from its current terminus in Swissvale to spur economic development. The presentation of the transit vision was also a celebration of recent changes in bus service. Port Authority of Allegheny County restored service on the 59 bus to the Hilltop Parkview Apartments in Duquesne. In addition, the agency reversed a plan for the proposed Bus Rapid Transit system this spring in order to preserve direct routes to downtown from communities in the Monongahela Valley. Both came after months of sustained advocacy from riders and the nonprofit Pittsburghers for Public Transit. Wiens and speakers from Just Harvest and the Mon Valley Initiative said they are committed to fighting for long-term transit funding in order to accomplish those aims. 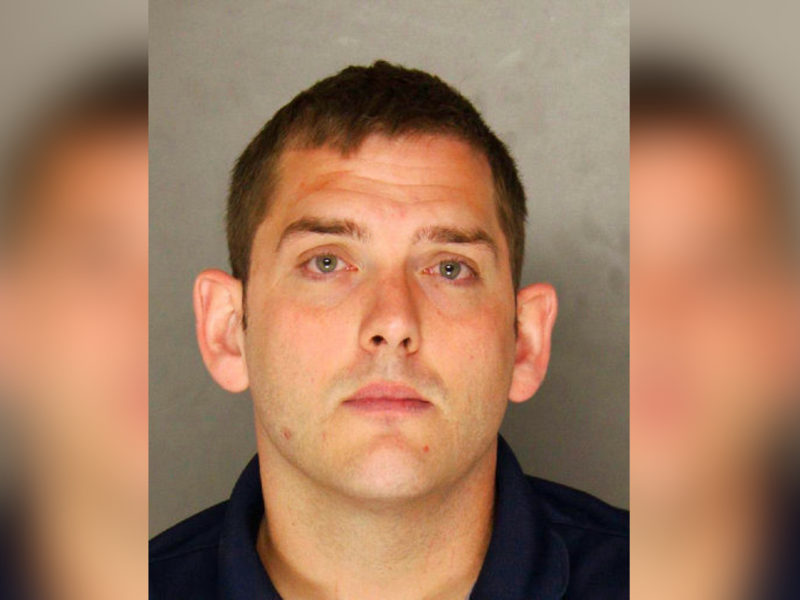 East Pittsburgh police officer Michael Rosfeld, who shot and killed 17-year-old Antwon Rose, has been charged with one count of criminal homicide. 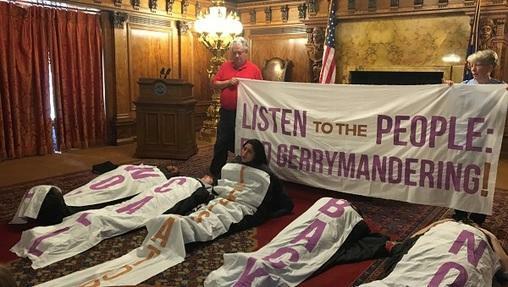 A group of frustrated activists spent Tuesday afternoon holding a sit-in at the reception room outside Governor Tom Wolf's office, trying to convince him to call a special legislative session to overhaul Pennsylvania's redistricting process. 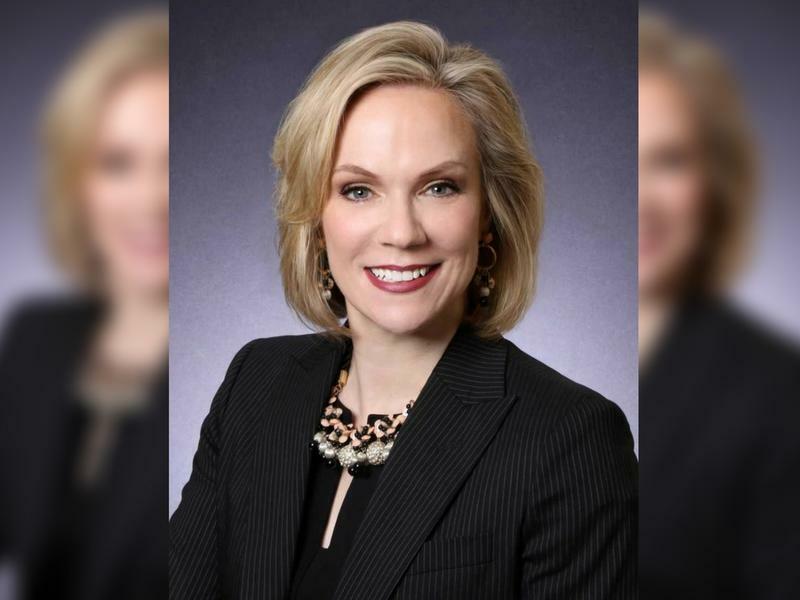 Katharine Kelleman started work as Port Authority’s chief executive the first week of January, but she began immersing herself in the system well before.